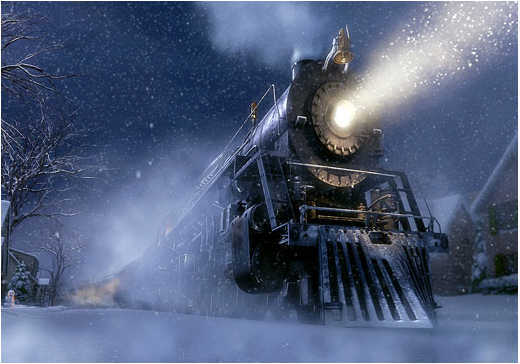 Many families make seeing The Polar Express 3D part of their holiday traditions. This heart-warming adventure, based on the beloved children’s book by Chris Van Allsburg, takes audiences on an extraordinary train ride to the North Pole. Viewers fall in love with a doubting young boy who embarks on a journey of self-discovery that shows him that the wonder of life never fades for those who believe. Special screenings of the newly remastered The Polar Express 3D begin at the Tennessee Aquarium IMAX 3D Theater on December 6 and will continue through Christmas Eve. Rated: G Runtime: 100 min. Tuesday, Dec 6 through Thursday, Dec 8 at 10 a.m.
Friday, Dec 9 at 10a.m. & 8p.m. Saturday, Dec 10 at 8p.m. Monday, Dec 12 at 10a.m. Tuesday, Dec 13 at 10a.m. Thursday, Dec 15 at 10a.m. Friday, Dec 16 at 10a.m. & 8p.m. Saturday, Dec 17 at 8p.m. Monday, Dec 19 through Friday, Dec 23 at 2p.m. Christmas Eve at Noon, 2 and 4p.m. There are also two special “PJs & The Polar Express” events offered at IMAX December 17 & 18 at 9:30a.m. Families are invited to come to these special screenings dressed in their favorite pajamas. There they’ll meet a special character from the film and enjoy hot cocoa and muffins before suggling up to enjoy the film shown in the IMAX with Laser format. The IMAX Club pass is a great gift for movie lovers. The Tennessee Aquarium IMAX Club gives the pass holder the opportunity to see an unlimited number of 45-minute films for one full year for just $40. This includes the 2017 IMAX with Laser Film Festival January 6 – 12. Go to: https://community.tnaqua.org/membership/imax-club to purchase IMAX Club passes online. Or call 423-267-FISH (3474). The Tennessee Aquarium inspires wonder, appreciation and protection of water and all life that it sustains. Admission is $29.95 per adult and $18.95 per child, ages 3-12. Each ticket purchased helps support Aquarium conservation programs. The IMAX® 3D Theater is next door to the Aquarium. Ticket prices are $11.95 per adult and $9.95 per child. Aquarium/IMAX combo tickets are $37.95 for adults and $26.95 for children. Excursions aboard the new River Gorge Explorer depart daily into “Tennessee’s Grand Canyon.” Cruise tickets are $32.00 per adult and $24.50 per child (3-12). Advance tickets may be purchased online at www.tnaqua.org or by phone at 1-800-262-0695. The Aquarium, located on the banks of the Tennessee River in Chattanooga, is a non-profit organization. Open every day except Thanksgiving and Christmas, the Aquarium and IMAX are accessible to people with disabilities.